Sticking to the earlier plans, Microsoft CEO Steve Ballmer announced the launch of Office 365 on Tuesday in an event in New York. This takes out Office 365 from its nine months of beta stage. Office 365 is an online suite of productivity apps which includes services as Microsoft Office, SharePoint Online, Exchange and Lync all apps clubbed together making it a more focused cloud based service. Office 365 will replace the existing Business Productivity Online Suite (BPOS) . Microsoft has struggled with many outages affecting BPOS. Lync Online is an upgrade to Office Communications Online which merges earlier Office Communications Online and Live Meeting together. Exchange Online and SharePoint Online are based on the 2010 version of their on-premise counterparts. Microsoft has set an eye to target small business groups.With products such as its Exchange e-mail server and its Lync online communications, it aims to expand its services to the small and mid-sized organizations which earlier could not use these services properly. Cost and complexities in using the services could be such reasons. "It's exciting to imagine the possibilities, particularly for the companies that have little or no IT support," Ballmer said. He also added that more than 70 percent of the about 200,000 companies that beta-tested Office 365 were small and medium-size businesses. "Office 365 is where Office meets the cloud," Ballmer said at the event. The office suite will help one access applications which are stored there at cloud servers.These include emails, shared documents, shared calendars, instant messaging, video conferencing and Web meetings, and websites. Microsoft Exchange syncs perfectly with the system's Outlook and can be accessed from anywhere using Outlook Web App. One can read or edit Word documents online or even use mobile browser to access them. These similar services are also available with Google Apps. Office 365 is Microsoft's answer to Google Apps. Google Apps are used by more than 3 million organizations. Office 365 is available in 20 languages and in 40 countries. More than 20 telecom companies including Bell Canada, Telefonica, Telstra, Vodafone etc. 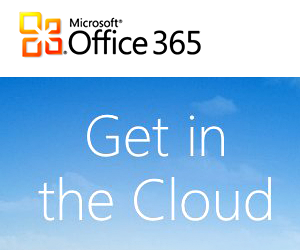 have also partnered up with Microsoft to resell Office 365 with their own services. Office 365 comes with different applications priced between $2 to $27 per month depending on what the user wishes to choose.